Venture Capitalist blockchain investment continues apace with an incredible $5.5 billion invested in blockchain companies last year. “The decade-old technology has always been a long-term bet on the future of finance; short-term fluctuations in cryptocurrency markets don’t matter [to Venture Capitalists],” says MIT’s Technology Review. They reveal $334 million has already been invested in blockchain start-ups as of last month. Money is hungry for productive uses. 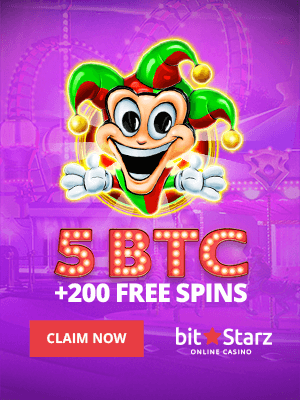 “If the firm wants to put $1 billion into cryptocurrency or tokens, or buy unlimited shares in public companies or from other investors, it can,” just Andreessen Horowitz. VC investment in blockchain companies as of March 2019. 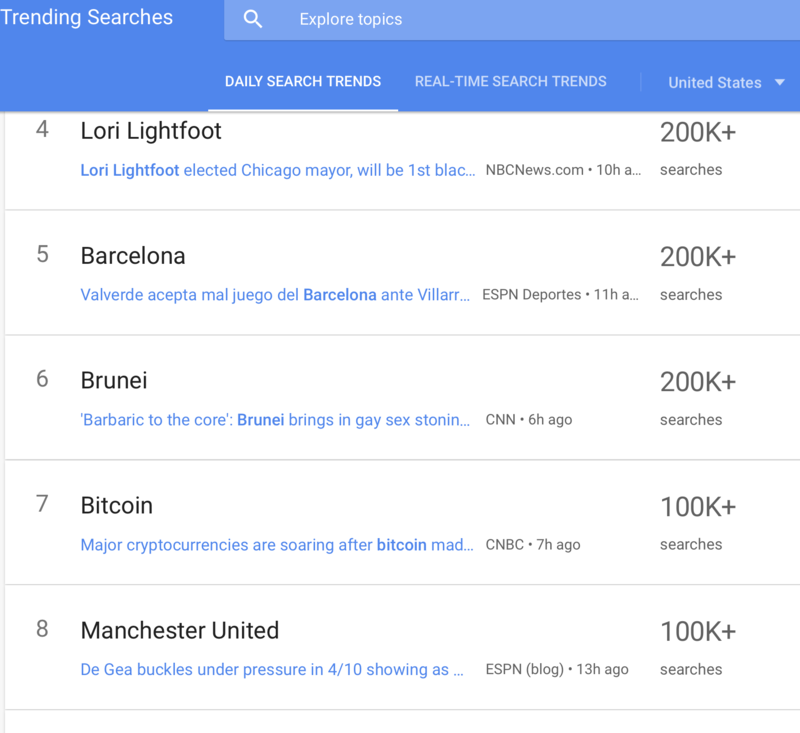 Bitcoin was on the radar of the American people once more as it hit top trending searches for April the 2nd. Our screenshot came late in the day, on April 3rd. Some say it reached top 3, but even by the time we got to it, bitcoin had managed to beat Manchester United. Yes, cults and tribes, sports and fun, is hardly unique to this space. Go Liverpool! Joke, we love ManU. Aaaa – look, we don’t even watch sport! Except world cup. 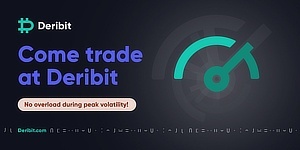 Bitcoin daily trends, April 2019. An incredible $8.7 billion of Initial Coin Offerings (ICOs) has been registered in 2018 with the Short Sellers Enrichment Commission (SEC) under exemption D, that being the rich make the law so they tell you to get off their nice hot sauna in the middle of freezing winter. This year apparently it’s only $1.9 billion in the last three months. Is this a joke? It’s MarketWatch and April Fools is over. One joke to break the bear is enough, so, we take them on trust. 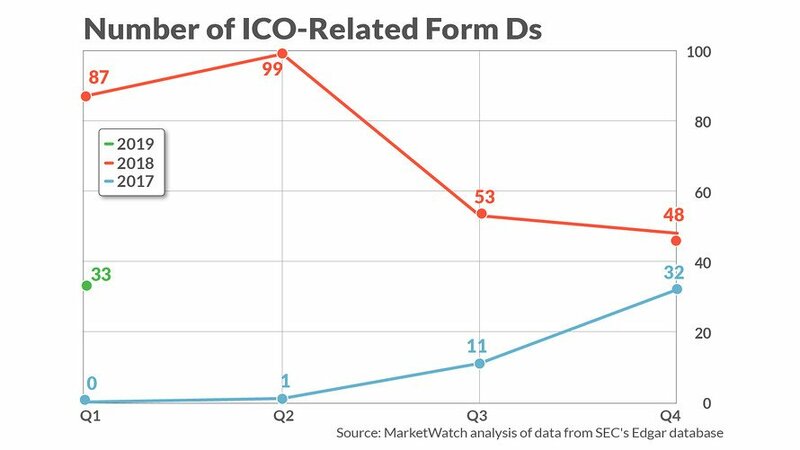 Number of ICO related Form D filings, April 2019. Of course, regulators, lawyers, rich VCs, all taking their cut while we watch and drool. Ples bred-crumbs you 26 thieving gods. Not that DLA Piper is one of them, the prestigious international law firm. They prestigus because they take top law graduates and put them in quibbles from where they then act like modern priests to tell us what is right and wrong based on arcane laws written at a time when they had no clue what electricity is. Very nice. SEC has been in written correspondence with presumably a very well paid lawyer of a new token project of which no one has ever heard of. “Based on the facts presented, the Division will not recommend enforcement action to the Commission if, in reliance on your opinion as counsel that the Tokens are not securities, TKJ offers and sells the Tokens without registration under the Securities Act and the Exchange Act. Air what? Oh, booking private jets. Yes, big problem. How do we save a penny of fees and add some convenience to billionaires who’d like to say: uuu look at me, I has token. Obviously some are trying to find any “this is good for bitcoin” aspect, but this intentionally made public statement by SEC does in many ways reveal certain corruptive influences because it does conjure backroom deals, wink winks, and the throwing of a little bit of breadcrumbs to make salivating dogs stop hauling. Yes, you can use tokens as long as you don’t actually sell such tokens, so says the unelected king Clayton. Of course, if you rich and want to play with jet platforms you can do anything you want as long as you’re not raising seed funding outside of our restricted rich only area. It has been close to two years now, and no court of sufficient seniority has made a judgment on whether this former elite bankers’ lawyer is a biased opportunist of the most corrupt example, or whether independent reason says he is right. By the time such court gets to it, it obviously won’t matter. So maybe we have been too kind to give such kings an ear. You can launch an Initial Exchange Offering from start to finish in about 10 minutes without needing any coding knowledge, any consultation with anyone, or any permission.